At some point every yoyo will need a bit of loving care to keep it in proper working order. At the very least this means that you will need to change your string before it breaks and cracks you in the face. 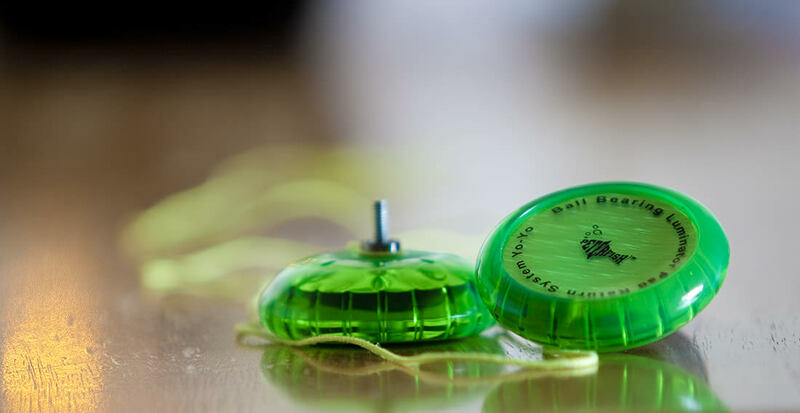 While it is always sad to hear someone say, “my yoyo is broken”, more often than not all the “broken” yoyo needs is a little fine tuning to get it back in action. On the flip side, if you are playing with an unresponsive yoyo, you will need to clean your bearing every couple of weeks (or more) to keep it in proper working order. If you do not clean your bearing the yoyo may become responsive and will not sleep as long as you like. It could even get some dirt in the bearing if you are not careful which could ruin it over time. 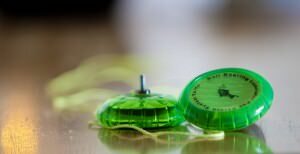 Besides strings and bearings, yoyos with brake pads will need them replaced on occasion (we recommend using silicone in most cases), and if the axle on your yoyo gets stripped so the yoyo will no longer screw back together it only takes a quick jaunt down to the hardware store to get a replacement bolt. Yoyo maintenance like this is normal in the life of a yoyoer and should not be a discouragement. The better you get the more you will push your yoyos to their limits; who can blame them for wanting some R&R?